The last remaining British coal mine closed in December, bringing a way of life to an end. My Welsh ancestors were among those who worked in this industry, giving movies about life in the pit a special power for me. The movie about British mining towns that Americans are most likely to recall is the John Ford classic How Green Was My Valley, but I like this week’s film recommendation even more: The Stars Look Down. Fans of prior RBC film recommendation Night Train to Munich will be justifiably excited to watch this movie, which was made immediately before it by the same director (Sir Carol Reed) and stars (Michael Redgrave and Margaret Lockwood). But the two films otherwise could not be more different. The Stars Look Down is a working class drama with fewer light moments and a more downbeat final act than Night Train to Munich, making it a much more weighty work. The plot: In a grim Northern English town, miners toil in Scupper Flats, seeking to extract the coal from the earth without breaking through to the millions of tons of water that threatens their existence. The Fenwicks are like any other family in town, except that their elder son Davey (Redgrave) has earnt a scholarship. Davey hopes that a proper education will enable him to become an effective political advocate for exploited miners. But he is diverted from his plans by his love of a local lass named Jenny (Lockwood), whose desire to immediately escape the miserable trappings of working class life lead Davey to sacrifice his educational opportunities. Meanwhile, his erstwhile friend and Jenny’s former beau Joe Gowlan (Emlyn Williams) also tries to make his way in the world, but does so by betraying his roots, with disastrous consequences. Redgrave and Lockwood are both terrific here, playing characters utterly different than the light-hearted lovers of Night Train to Munch (and before that, the charming couple in peril in another RBC recommendation The Lady Vanishes). I was particularly impressed by Atwood’s willingness to break away from being everyone’s sweetheart and instead play a petty, grasping human being who is at the same time sympathetic (after all, she is only what poverty made her). Character actor Emlyn Williams also gives one of his best performances, starting out as somewhat comic and then devolving into unmitigated avarice and sociopathy. 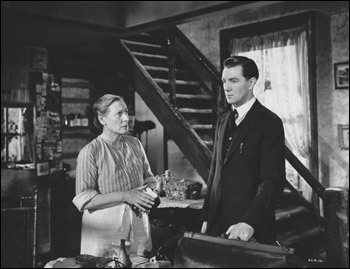 Under Reed’s direction, the supporting performances are also strong, most affectingly Nancy Price’s portrayal of Davey’s hard-bitten mother. A.J. Cronin adapted his own novel to co-write the script with J.B. Williams, and it’s appropriately unromantic about how cruel working class people can be to each other and how ambivalent they sometimes are about one of their own rising to a different class. The only weakness of the script is the opening and closing voiceover narration, something that worked very well in Reed’s best film, The Third Man, but seems heavy-handed here. But it’s an easily ignored flaw in an otherwise dramatic and powerful script. Last but not least, the special effects and camerawork in the mining scenes are extraordinarily vivid. Reed knew how to draw the audience into the lives of his characters, even when their fear of the horrors of the pit would make them want to pull away. The result is a meaty working class drama with shattering emotional impact. p.s. One person who experienced that impact was my co-blogger Michael O’Hare’s mother, the sculptor Berta Margoulies (1907-1996). 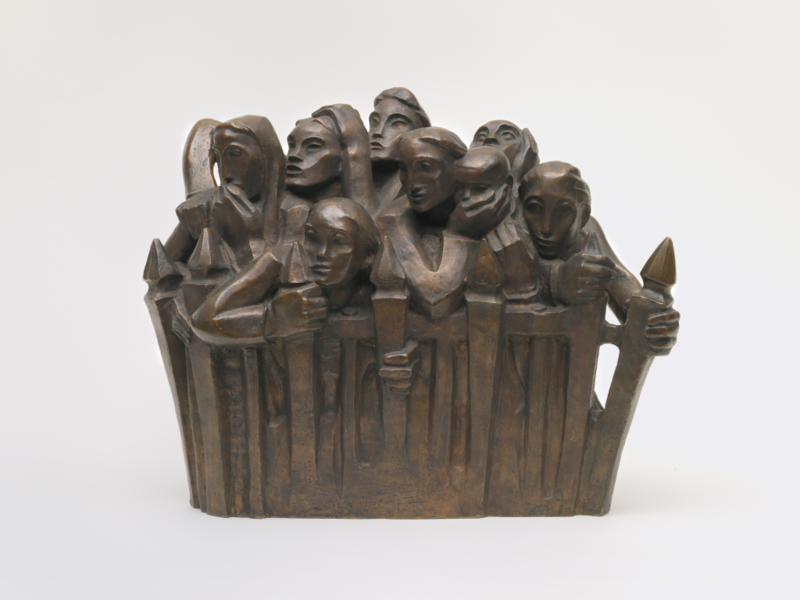 Her 1942 piece, Mine Disaster, in the permanent collection of the Whitney Museum of American Art, was directly inspired by The Stars Look Down.